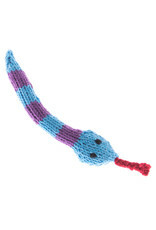 This OoMaLoo classic is perfect for those looking for a toy that’s as fun as it is sweet! 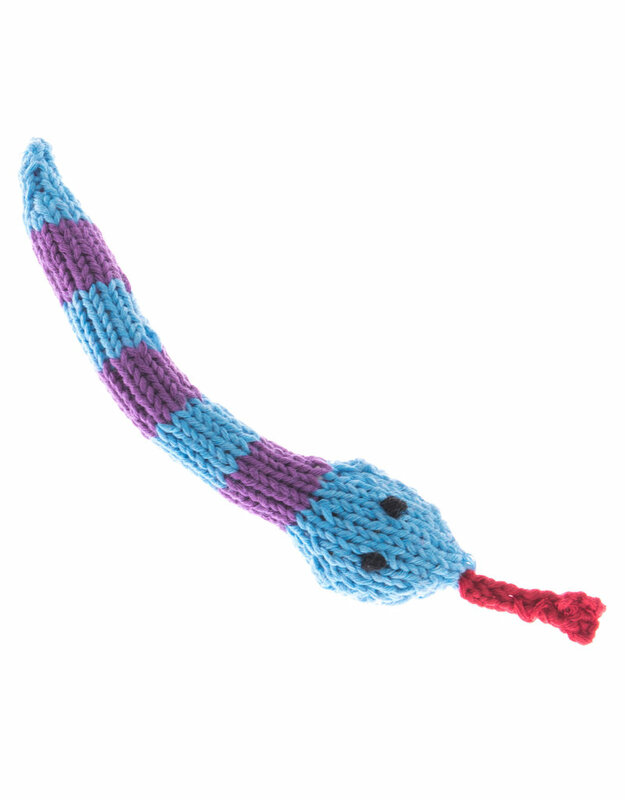 Our OoMaLoo snake cat toy is hand knit with polyester yarn and contains catnip for your cat’s delight. Available in small size only -6″. OoMaLoo cat toys are handmade by women in the poor neighborhoods of the Anatolian Plateau. Craft-needlework is one of the few methods these women have of earning an income. All OoMaLoo cat toys are hand-made with care for maximum durability. The ‘furry’ portions, made of a high-quality, non-shedding polyester yarn, are especially strong and long-lasting. Design features and details are done in a contrasting acrylic yarn to bring life to the toys.